If you like having physical boxes of games to add to your ever-growing, beautiful collection of joy, but also like the convenience of having your games stored within your Switch's internal memory for quick and easy access, you'll likely be pretty jealous of Nintendo's latest offerings in Japan. On the official Japanese Nintendo store, Super Smash Bros. 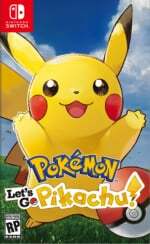 Ultimate and Pokémon: Let's Go, Pikachu! and Let's Go, Eevee! have a couple of different listings: one that is simply a case with a cartridge inside as usual; and one that gives you the case with a digital code to redeem inside instead. Each copy costs exactly the same price, regardless of whether you're getting a physical card or not, but the option is there nonetheless. On the one hand, selling what is essentially an empty box seems absolutely bonkers, but it's actually quite a smart idea on Nintendo's part; we imagine there are many who do indeed fall into the exact category we described above and the production costs will be lower if there is no cartridge inside. Whether a similar deal will make it over to North America or Europe remains to be seen, but could this be a new trend for major Nintendo releases? Let us know if you'd pick up one of these digital code boxes given the chance with a comment below. Well if you're going digital might as well get the box if that appeals to you since the price is the same anyways. Isn't the e-shop price equal to the physical price? Free box! Seems ridiculous to me. But each to their own. I bought a Vita game that was just a code in a box. The cashier tried to up sell me with the two year replacement plan. Digital games should be cheaper than physical due to less production costs. I’m not giving in to this all-digital push until price reflects costs. This still misses the point. I want a physical game with a download code or an option to download the game to local storage. I want to own the cartridge and yet, if I want, still have the convenience of digital. Honestly, in 2018 how hard is that really? That’s a novel idea. I’d be alright with this if it hit NA since I plan on getting digital. @Bunkerneath You can still buy a physical cartridge. Cartridge and case is fine with me but a full color manual included would be awesome too. This is exactly the sort of thing no one minds if it doesn't leave Japan. @Hikingguy do you mean like how movies sometimes have a digital copy included? Edit: Just saw that the article mentions it might be a new trend for major releases (none of the above falls under that category). I'd say it's better than just selling plain download cards, which they have been doing for ages and you would just throw them away after redeeming the code. @HobbitGamer Yes, that is the basic Idea. I want the benefits of ownership of a physical cartridge and since technology allows it, I also want the convenience of local storage. I want the best of both worlds. I mean in 2018, this should not be a radical request. I’ve wanted to buy a physical copy of the games to keep new in its plastic wrap on my shelves and a digital copy to go along with it ever since the release of the Switch. Too bad I can’t afford it lmao. Not bad. Animal Crossing: New Leaf was a rare digital purchase of a retail title for me on 3DS, and while I bought it digitally so I would never have to swap out a cartridge to check on my town, I missed having something for my shelf. This is a little weird, and strangely feels kind of like cheating, but for certain games I might be willing to bite anyway. @HobbitGamer Sometimes I find myself buying the physical game so I feel like I really own it and I can play the game on multiple consoles and then if I really enjoy the game I will buy it digitally for the convenience. Physical is better if a person owns more than one console. I thought the whole point was to have cartridges again? @Hikingguy But then you can give one away. Which would be a problem. Regardless if "production costs are lower if there's no physical cartridge inside," Nintendo never passes those savings on to the consumer. I still find it baffling that eShop games are still the same price as physical games. We should be seeing a notable difference in price because there's no manufacturing cost or distribution cost associated with those versions. And there's no 3rd party retailer vying for a piece of the profit, it's all going straight to Nintendo. We should be seeing at least a $10 difference between eShop and physical versions. @Indielink But if the point is for me to physically own the game, then I will not want to give it away. I want a REAL Switch Cartridge, Not a bunch of digital numbers. But the funny thing is I find it cheaper to buy physical games than digital. Some Wii U Digital games are still full price yet the physical game can be bought for significantly less. @Hikingguy That's also true. I found a copy of Crash Bandicoot Trilogy for $49.99 CDN at Best Buy when it was $56.99 CDN on the eShop. So I bought it physically. But that might have been for the E3 sale. But you are right, a lot of times the physical games are cheaper if you can take advantage of retail deals. But eShop games should be permanently cheaper with discount sales whenever Nintendo feels like running them. @Hikingguy That's exactly what Microsoft offered when they announced X-Box one console with DRM and everyone hated it. That's also exactly the moment when they began to lose the battle against PS4, 6 month before the release of the consoles in the market. @justin233 I would think that overall production costs have increased even if it’s a digital version due to cost of developers salaries and/or extras like voice acting. 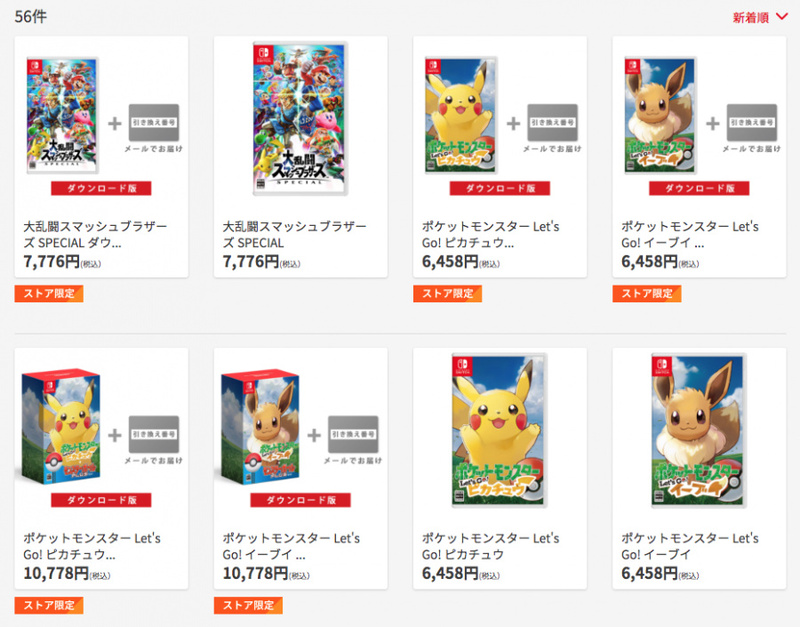 Going for digital releases may keep sales prices as the same rate as physical since they are skipping the added cost of manufacturing physical copies of the game. That’s what I would say if I were a developer company’s PR rep haha! @DarthFoxMcCloud Sony and Microsoft don't do it, either. There's no business incentive for Nintendo to do it. I'd guess that one of the reasons it's not done is that it would fracture marketspace between 1st Party digital shops and retailers. If the same product is going to be available on the eShop for 16% less than what the store must sell it at, the profit margin (typically $3-$7) for the retailer begins to erase and the retailer is less inclined to purchase inventory. This would be especially true for stores that use a product footprint (shelfspace) based on the percentage of product sold in a certain category. Less inventory ordered means less inventory produced. The debate "physical vs digital" is a huuuuge dilemna for me. I still love physical games because I love to own a physical library. It's doesn't feel the same to look at games in shelves, than to look at a list of games on a screen. IT. SIMPLY. DOES. NOT. But the switch is a console so suited to digital games... It's perfect ! I bought Bayonetta 1&2 in digital... I have regrets not to have the physical boxes. But it's still best suited this way. But my shelves miss Bayonetta's boxes. HHHAAAAA this Switch dilemna drives me crazy ! As for the idea of digital codes in boxes.. It would be the perfect solution. But I found it mad to have boxes without the game on a cartridge or disc. It doesn't make any sense. They're not the first to do this sort of thing. I almost accidentally bought an empty steelbook tin for WipEout HD on PS4 because they were selling it separately for those who downloaded it. I initially thought it was the game for super cheap! A lot of kickstarters do this sort of thing with retro boxes for download games too. @Hikingguy The point is that you have the OPTION to though. There's also nothing preventing you from even letting a friend borrow it. The only way that would work is to have some kind of online check in but we all know how that turned out when Microsoft wanted to so it. I'd much sooner have a significantly smaller box with the cart in it. @Anti-Matter Those 'digital numbers' are all that's on that 'real Switch cartridge' you know. I do not want forced DRM. There has to be a more elegant method. But I hear you. @Indielink There nothing preventing me from lending the game to a friend with or without the option of downloading it. That has been happening for decades. If you live near a GAME shop in the UK, just ask them for the box when buying a digital code. It's what I did when I picked up the breath of the wild expansion. @smashboy2000 That is also why I if I have the option I always buy a game on Humble instead of directly from Steam. Because many times I get a DRM free copy and the Steam copy for the same price. Historically, I typically will not buy a game if I cannot get a DRM free copy along with the Steam copy. @Hikingguy Yeah I'd like a physical copy that could also be treated as a digital copy. The issue in the past has been that theres a much more common second hand market than there is for film so I imagine companies were concerned people would get the digital code and then on sell the physical copy, getting them a huge saving on the cost of the game. Digital copies for films aren't always overly convenient either. 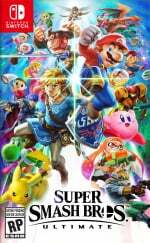 The fact we've seen the past few weeks that Nintendo has add individualised identifiers to all physical copies would however seem to make that viable in that they could invalidate the digital copy if the corresponding physical copy shows up on systems other than those as part of a family Nintendo Online sub. Might annoy people lending games, but presumably you could re-activate the download copy when the user gets the physical copy back and adds it to the console to verify. I think it'd be a cool concept myself. On the topic of getting a physical case with a download code. If its the same price I can see the appeal but its worth noting you can already buy empty cases for pretty cheap so if you really must do that and download some high res cover art and make up your own. @Indielink I guess as I think of it, I do not mind the idea of an online verification for online games. So if I go online and try to play and the other person has the game, I should not be able to play. But as soon as I get my game back, my system should give me all my rights back. @Smigit Yeah, I agree. I think I posted something along the same thoughts seconds after you did. @Hikingguy Same. Happy to lose access to my digital copy if someone else is using the physical. No different to what we have today anyway in that respect (cant play a physical game yourself if you loaned it), and I think it would help prevent publishers being too heavily burnt. Would be great though to be able to travel without taking the carts. @Smigit absolutely! In 2018 there is zero reason this should not be a viable option. My initial reaction to this was simply - no - b/c of the cost, but on further thought for a game like SSBU it makes sense if Amazon allows the 20% discount on the empty box. Best of all worlds - display box, game always available, Prime 20% discount. The downside of this would of course be if you were a 2 or 3 Switch household then the code could be a problem, might be better w/ the cart. I still need to research how that new Pokeplus ball works, if it's locked to 1 cop of the game or the account or if it can be shared. I'm guessing it's not shareable. Without the cartridge, what the hell's the point of the box at all? I suppose it's the nice thing to offer those who prefer digital, but like to have the boxes on display. @smashboy2000 What Hikingguy suggested isn't quite what MS tried (this is actually more what MS tried.) Hikingguy wants BOTH a physical disc to retain and keep and play forever, and the ability to install the content of that media locally and play without the media inserted like digital. MS's idea was that the disc was just an unlock key like these empty boxes, that contained part of the download on the disc to spare you some download time. But after you entered the key, it was 100% identical to an MS Store purchase and the disc was now a valueless piece of lacquer, and to re-use the lacquer you'd have to buy a $30 unlock key from the MS Store to use it again. I.E. the same as the empty box with a paper code, but with a download booster and a "feature" to buy a second copy at a discount. Not quite the same as having the disc and digital copy. Sony planned the same identical system, but changed it after it failed so catastrophically for MS before their show. Problem is CDs can't be locked to the account, as a temporary digital key. You could use the same disc on 30 consoles and they'd never know other than the paper code. Switch, with the serialized key built into the cart actually could allow the cart to be "unlocked" as it currently is, or "lock" it by tying it's ID to an account since it has a unique serial. So it's actually possible such a thing could be made to exist on Switch, unlike the other two. Physical over digital all day everyday. Once gaming becomes and all digital/streaming service I'll be done with it and stick to all the consoles I already own. The way I see it, Odin buying to collect, I won't buy it digitally with a physical box. Defeats the purpose for me. HOWEVER, the worst case situation is that each cartridge could be used on two machines simultaneously. The one that has the cart in possession, and the one logged into the account for a digital copy. It could not be used on more than two, because there's only one physical cart, and the serial would be checked on the backend to match only one account registered for digital use of the serial. 2 copies playable for retail price is actually how X1 and PS4 already do digital. Anyone on your "primary" system can play all your games. And you can also play all your games on any system you log into. So a total of two machines can simultaneously play one digitally purchased game. (MS sells that as a feature of XBL, "Home XBox". Sony doesn't advertise it, it just works.) So actually the physical/digital sharing would just be a "very NIntendo" way of doing what Sony and MS already do by taking Sony and MS's digital poicy and doing the same thing with a physical/digital policy, that only their hardware can do. Edit: And how do you make up the money gap? Subscriptions! @NEStalgia Yes exactly. I want the best of both worlds. I do not think that is too much to ask in 2018. If I sell it. The physical gets priority and I would have no problem if they disable my access. Since I did not own a Xbox I will divert to your knowledge on that. As always, Thank you very much! Dudes, nibelsnarf all that "Tie the digital copy to the cartridge" and "You might give it away or sell it!" noise. That isn't hurting movies or comic books, both of which have "Get a digital copy with your physical purchase" programs. There is absolutely no need for video game companies to be more draconian than their contemporaries. PLEASE BRING THIS TO EUROPE! I love Switch boxes on my shelf, but way prefer having the game on my system memory! It kind of defeats the purpose of going all digital. If I want to go all digital it is because I do not want a bunch of boxes sitting around my house. I might as well just print my own inserts and use an extra DVD case I have laying around. The people bemoaning the cost of digital versus physical, there is a simple reason prices remain at parity and sometimes worse digitally. Nintendo, MS and Sony all rely on retail (web and shops) to sell their hardware. If you drop the price of digital then those shops cannot afford to sell games and therefore will not sell consoles so the prices of digital games remains high to keep the retailers onside. @Supadav03 I have gone almost all in on digital too. Price is the only thing that stops me. Octopath traveller for instance £40 best price I have seen physical £50 on the eshop. I invested in a 400gb card so I can buy digital whenever I please! Can't say I think its very smart... Personaly I will stick with carts. I'm very outspoken regarding the virtues of physical media, but the one thing I've come to realize is that even owning the cartridge doesn't guarantee my ability to play that game ten years from now. It sure used to, right up until the end of the Wii, but these days with all of the DLC, "always online" requirements on some titles, and almost every title shipping with some pretty glaring bugs that are fixed with a launch day patch, it's very likely that even owning the disc or cartridge won't allow you to play the "finished" game in the future. In the worst cases it won't boot at all, and in most cases what will boot will be a hacky, broken mess. There are some instances of publishers who put their product through some sort of quality assurance beforehand, but those are few and far between. That said, I still buy exclusives physically. But with multiplatform titles, it makes the most sense to find a DRM-free PC copy at a place like GOG or bite the bullet and fall in with Steam. At the very least, you know Steam's store isn't going to shut down when the "generation" ends. @Medic_alert Yes, price is def the biggest obstacle. Not getting the 20% pre-order bonus on digital games like you do for physical on Amazon hurts. I usually try to wait for eShop sales or discounts on eShop cards on eBay to help make up for it. I only have a 200GB card & it’s filling up much quicker than expected. I may need to go to 400GB like you. Really love being able to just grab my Switch and know I have my full library of games with me at all times. @NEStalgia yeah I’d prefer no checks, just pointing out there is a mechanism there. It’s doable and it doesn’t need to be as invasive as those proposed by the original Xbox One launch. If they did have some digital + physical scheme, even if they locked it down, I’d even be happy to pay say $10 more for the digital code post sale I reckon. Make it redeemable when the carts in. You’re right in that other consoles don’t function that way and do support an account to be in multiple systems, but at the same token that applies to digital copies only that you can’t then sell so they’re still somewhat locked to a single user/account. I think publishers would be pretty concerned about a system that allowed a single purchase to be split into two without any major impact on the ability to access or restrictions on resale. @EeryPetrol Not really, in the US at least physical purchases incur taxation while digital purchases do not. In addition there is also typically shipping fees involved with a physical item. @WaveBoy Even better: They should just sell the empty cases for 5€. That way you can have an extensive collection without even paying for the games! Most collectors wouldn't notice anyway because they never open their games. They loose value if you remove the shrink wrap after all!! I would buy the cartridge one. The idea of downloading is fine but I like holding the cart in my hand. Having extra goodies inside helps me make my decision like a map or instruction booklet. One is called : Whatevathingy special! I have been saying for a while that in this transition we are making to Digital I want them to still go physical with some item that you can go buy to add to your collection and get a code that gives you the game digitally. Now I have been thinking, a small statue like amiibo type thing or other small things to display. I really hope people are gonna start to think, PLEASE WAKE UP PEOPLE ! Do not accept these kind of things, NEVER ! They don't want you to pay your games at a better price. Think about the Millions persons in the world loosing their jobs one by one... that's crazy ! PLEASE FIGHT FOR PHYSICAL ! @justin233 I totally agree, if part of the reason Switch games cost what they do is due to expensive cartridges, why is the digital version just as expensive? And that’s based on the RRP, if stores have sales, digital is more expensive than the version with the oh-so-costly cartridge. @Cobalt I totally get where you are coming from, there was a time when people said they would never buy games on steam. They were ticked it was going to even be a thing. You don't own anything when you buy it digitally. Yet here we are, years later and you still don't but steam is a norm. And even then, I may not own those games, but I still have and can play all of them. So there is that. Streaming games is the future regardless if we want it or not. I am hoping that in that future I can still buy a physical product and get access to that game. People see streaming as a service like PSNow and such, but in the future I don't think it will be like this. I think your xbox live sub, or your playstation plus sub and the like will cover streaming. You buy a game digitally you have access to that game digitally via download or if you like you can just stream it. I think that is what the next console generation will look like, a sort of hybrid of the past and the future. I think Microsoft and probably Sony as well are going to announce very traditional Consoles, full of power and a slot for physical disk games, but I think they will also announce next to these a cheaper device, not unlike a Switch but something that doesn't need to be powerful. Something that can just accept streaming. I would bet money with a device like that some people would just buy the cheaper streaming device and never buy the more expensive console. THey have been trying to figure out hardware for a future where streaming was a thing for a while. Playstation move. Kinect. All these things were these companies trying to innovate yes, but they were also trying to figure out how to sell hardware to people in a time when games can be streamed to ANY screen. And be of higher fidelity than we have ever known. Because when developers can take advantage of a server system and know exactly what they can milk out of it and knowing that the server can be super powerful, more so than what can be put in a home console because it would be to expensive. Think of the games that could produce. Games with full planets to explore. FULL planets. In fidelity unheard of. And all you need is a screen and a device to control. It is coming. I will miss these good old days to. I think the pros do outweigh the cons though. Super powered games. Streamed anywhere, to any screen I desire. EDIT: And it would alleviate one of my gripes with the Switch. It's power. I hear that in Japan Resident Evil 7 is being played on the switch via streaming. Without streaming you would not be able to play that on the switch in it's normal fidelity. You would get things like the Doom port or Wolfenstein. Which are great ports, but imagine if devs didn't have to port games to the Switch. They could just give you access to games via streaming. Boom, the Switch becomes the only system you need and every game would come to it as it came to other consoles, day and date. Anyways, in a future like that, I would certainly love the option to buy a physical item. Like Nintendo could make Amiibo the item. New mario comes out, buy this new Mario amiibo, it includes your code to unlock the new mario game on your account. I still get to collect the games I want, and have the convience of not having to swap media every time I want to play something else and don't have to carry those games with me. And would allow me to play even full console experiences on the go with not compromises. I’m surprised by the negativity to this. It’s not like they’re taking away your ability to buy a physical cartridge if you want it. More options isn’t a bad thing. Weren’t you the one who declared Europeans the smarter than the Japanese and Americans because Europeans spent less on Pokémon Go? “The graph shows something really interesting. Well that's a steaming load! Poor Japan. 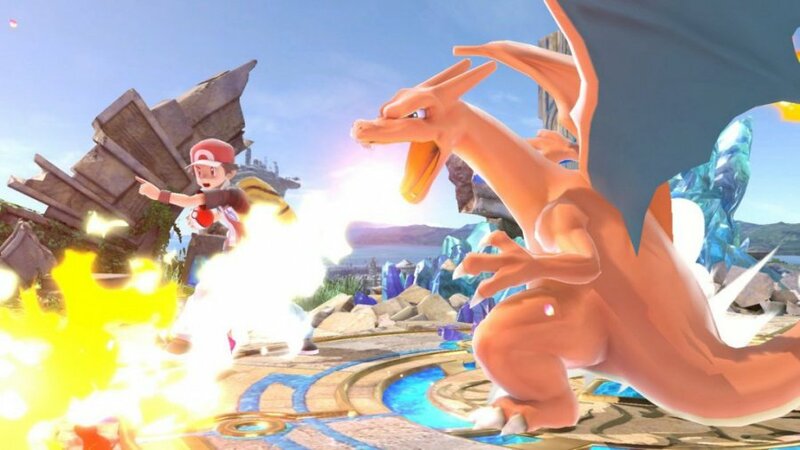 shakes head in disgust Please Nintendo, don't follow Capcom on annoying decisions like this. Dunno, but MAYBE, it was put in a joke way, isn't it ? @Cobalt I know how to read, thanks. You went on and on about how Europeans and Americans were stupid because they are affected by marketing. As if they don’t market in Japan. Heck, you don’t even know who made the name change. For all we know, NOA was the one who made the call. Also, reading over your comment again, I can’t help but take issue with your use of the r word. It’s a medical condition, and it’s offensive when you use it to describe people who do not have said condition. Please refrain from using it in the future. Can you explain to me "the r word" please ? Oww ok, now I get it... Thank you for the clarification. @Cobalt And thank you for understanding. Sorry if I sounded a little harsh earlier. I don't agree with your perspective, but I probably could have chosen my words better. "So it's really a commercial decision based on perception of eastern and western mentalities..."
I don't think it's fair to make this an East vs. West thing. Maybe it would be better if we just said that it's a matter of changing marketing to appeal to different audiences? I have a small level in English so I do with what I have. I know that it could be better by practicing more but it's impossible for me so I'm grateful when a guy take the time to explain to me things like : "this you cannot say, that you might change into..."
Nintendo passing the buck to the consumer.